Website: Click Here to view the events website. Live three-part webinar series. Each part is about one hour long, followed by a short Q&A. This three-part series repeats each month. Certificate of Completion: If you would like to request a certificate of the completion, please do so below at the end of the course. AIA members: To register your attendance and earn learning units, please submit your name, email address, and AIA membership number online when you are asked to do so by the webinar instructor. Architects do not need to attend all three parts to earn learning units for the part(s) they attend. Professional Engineers - Live Instructor Requirements: Most states with PDH requirements for Professional Engineering registration where live instructors are required will accept a certificate for completion of each of the parts of this course. Check with state licensing requirements. AIA / Professional Engineers : Most states with PDH requirements for Professional Engineering registration where self study is allowed will accept a certificate for completion for other related courses as described at Continuing Education for Architects. 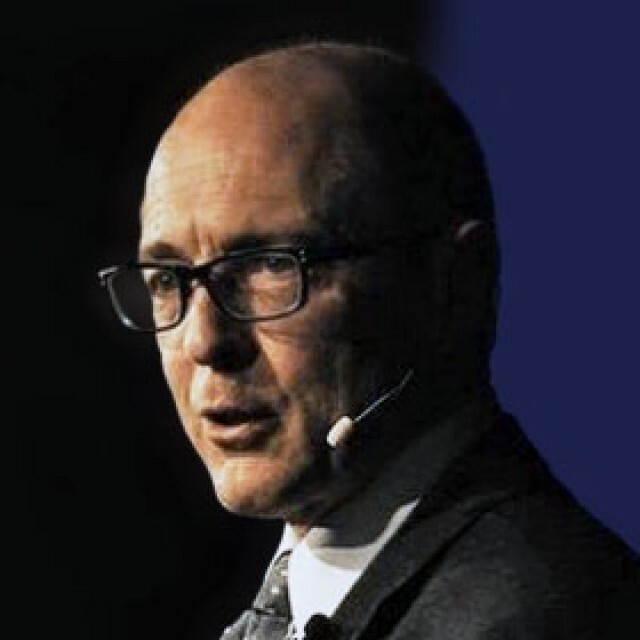 Richard Gage, AIA is the Webinar Host for this event. Click Here to view the events website. 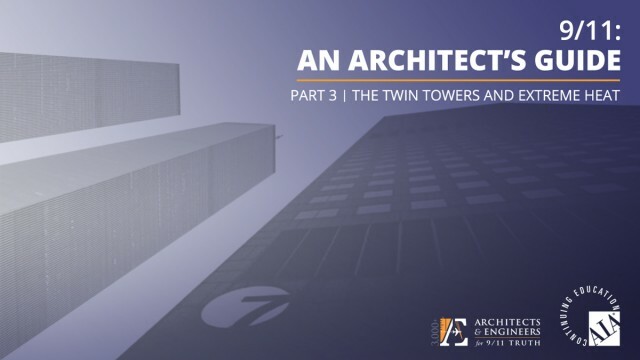 9/11: An Architect’s Guide | Part 3: The Twin Towers and Extreme Heat - Course Number: AE911-AAG-L3 (or "OD3" if viewing the archive) 1 LU/HSW for each part. AIA members: To register your attendance and earn learning units, please submit your name, email address, and AIA membership number online at https://AE911Truth.org/Continuing-Ed/A... when you are asked to do so by the webinar instructor. Architects & Engineers for 9/11 Truth is pleased to be an AIA CES-approved provider of continuing education for architects. As a 501(c)(3) nonprofit organization dedicated to conducting research and providing education about the complete destruction of the three World Trade Center skyscrapers, our courses give architects the technical knowledge and analytical framework with which to evaluate the most likely cause of those building failures.